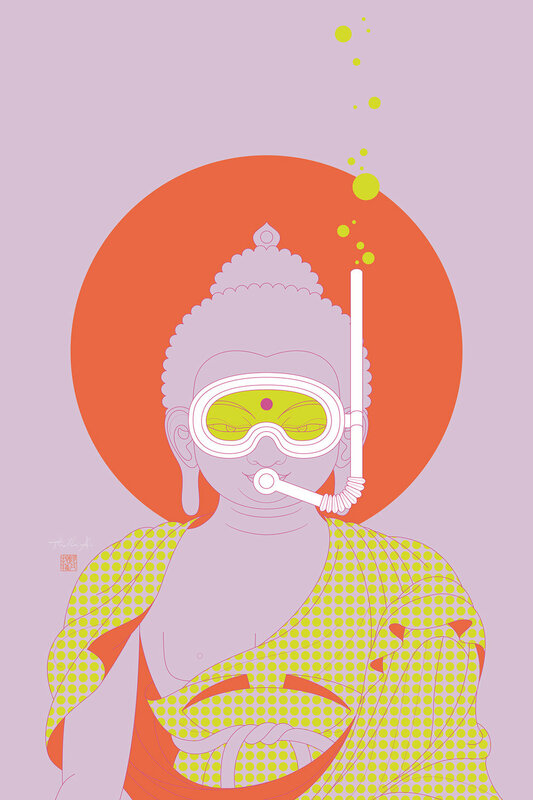 I planned to design a Buddha series for quite some time until I finally found a solution with a wink. 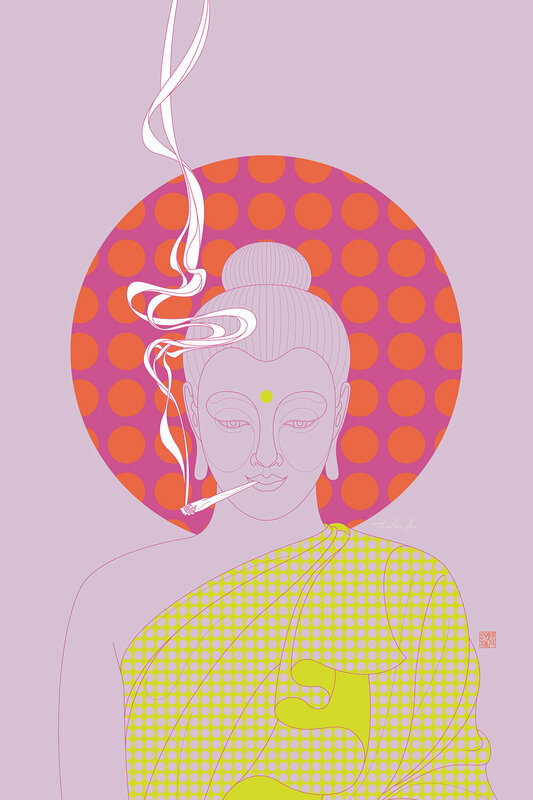 The six Buddha illustrations are all playful interpretations of basic Buddhist practices or believes, like listening to the vibrant, cosmic sound OM during meditation, for example. One Buddha focuses on the inside view, another one contemplates on silence, while the other ones are practicing Anapanasati (mindfulness of breathing), Sunyata (experiencing the void of existence) and Karuna (compassion and love). All designs are available in two different color versions, in many different sizes and printed on various products via Society6. Use the following link to browse the collection there, or click images below for direct link to specific designs.